When My Life Was My Life is the first feature film project from the director Carolina Markowicz. The movie has been participating in important events and has been constructing an international career since it's growth. In 2016, the project was one of the Spcine's Doctoring Public Notice official selection, through which counted on the screenplay assistance by argentine Gualberto Ferrari. In the next year, When My Life Was Mine, participated in the FAM's Co-production Encounter - Florianópolis Audiovisual Mercosur, where the co-production with the argentine producer Ajimolido Films were sealed, responsible for movies such as "El Invierno" (Emiliano Torres, 2016), and "Al Desierto" (Ulises Rossel, 2017), both with premiere at the San Sebastián Festival. Still in 2017, the feature film project were selected by Teller 3 PUERTOS CINES, a projects development platform organized by Australab labs - from the chilean festival FICValdivia - and Distrital Formación - from mexican Distrital Festival. The first session of the trailer was in october 2017, at Chile, and the second screening will be in this year's march, at Mexico, where the mentors, among them argentine Mariano Llinás and Lucrecia Martel, will discuss the needs of each project, such in artistic ways as in financial and distribution. In the end of 2017, the project was in the line of Ibermedia's development awarded prize list, and already in 2018 participated in CineMArt, a co-production market from Rotterdam's Festival, being part of the list of 16 projects chosen among more than 400 entries from all over the world. 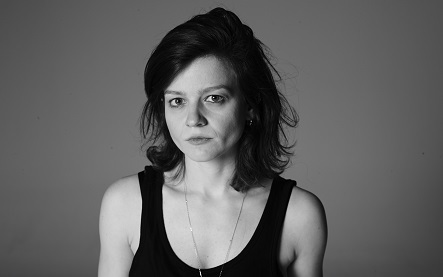 At the moment, director Carolina Markowicz is participating in the Berlinale Talents Program of Berlin's Festival, where she'll participate in an intense discussion panels program with specialists from many fronts from international cinematographic market. Long life - very long! - to this project's career which is a co-production between Superfilmes, Yourmama and Ajimolido Films. The feature project is selected to CineMart.